In a world crammed with Z-list ‘celebrities’, all clamouring for their moment of fame with gluttonous relish, bravado seems to take precedence over calibre. It is a thoroughly lamentable cultural anomaly that often results in the celebration of abject mediocrity as though it’s something far more valuable. And yet in the world of boats, there are still some steadfast builders whose products explicitly contradict this cultural trend - resisting showroom gimmicks and grandiose marketing flannel in favour of simple, unadulterated performance. And in this wholly laudable approach based on proven designs and clear thinking effectiveness, Ring Powercraft remains one of the key players. The Ring 475 runs high and is efficient. Since the 1960s, Mike Ring has been a potent, no-nonsense boat builder, generating an eclectic fleet of race, leisure and commercial craft, with everything from small tenders, dinghies and cathedral hulls right up to 40-foot RIBs. 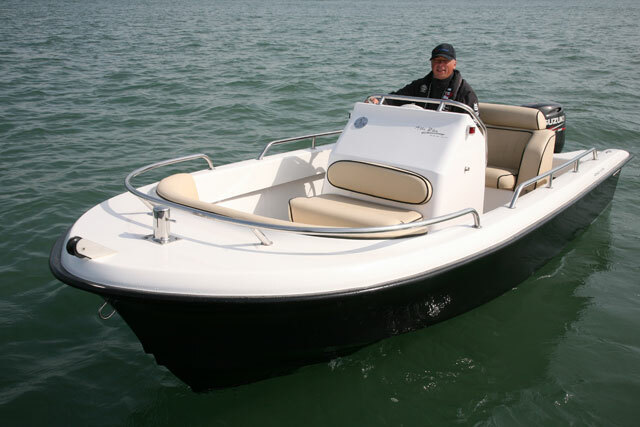 The modern line-up remains just as varied but if it’s a hard-hulled Ring sports boat you want, there are three basic options - the 475 Harbour Rat (pictured), the Ranger 25 (in open and cuddy formats) and the R34 (a fast weekender). In all cases, however, you can relax, safe in the knowledge that when you buy a Ring, a pedigree of genuine dynamic ability (rather than idle posturing) is likely to be a major part of the package. The 475 is very composed in its handling. 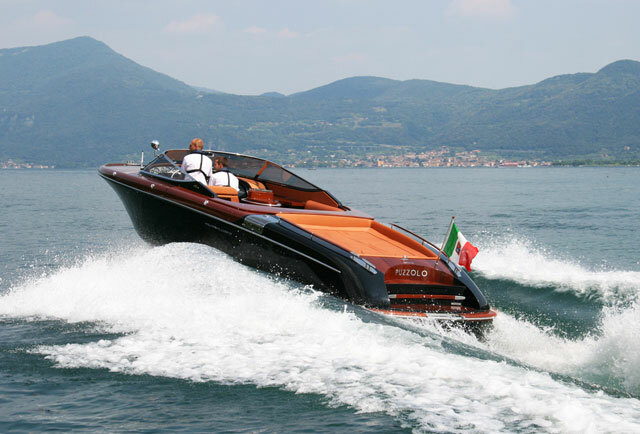 Right from the off, the Ring 475 comes across as quite a self-deprecating craft. Not only is it known (rather affectionately) as the ‘Harbour Rat’, but its looks are also on the muted side. 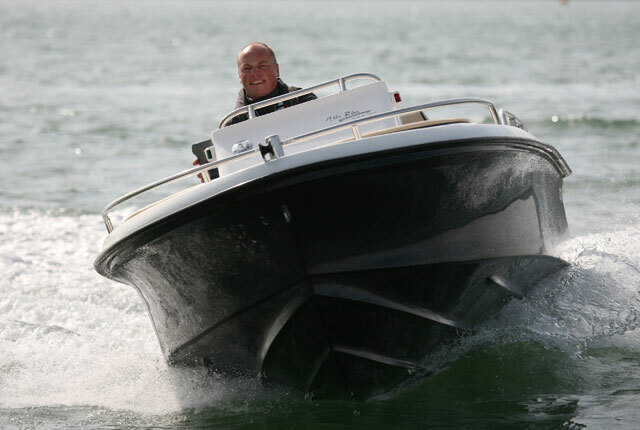 With a surprisingly generous beam and relatively squared off bow mouldings, this boat carries very little of the attitude of the rapier-like race machines that have tended to define the Mike Ring story. But while the Harbour Rat might appear to promise very little, a closer look quickly reveals some tangible clues to this boat’s pedigree. It has very pronounced and beautifully moulded chines, allied to a pair of long spray rails, an acute point of entry, a moderately well angled hull and a useful bow flare - and when you look around the cockpit, the good omens continue. Here, you find some serious, heavyweight helm seats with deep cushioning and proper lateral support. There is also a stainless steel Sampson post at the bow and a simple (racing style) moulded lip on the top of the helm console to help deflect the wind. 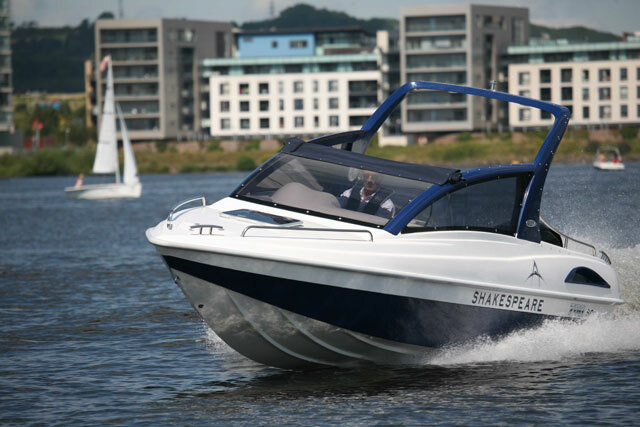 It’s far more attractive, more efficient and more ingenious than a traditional upright screen, and while it is unlikely to provide the same degree of protection, a little exposure to the elements is never a bad thing on a small powerboat like this. 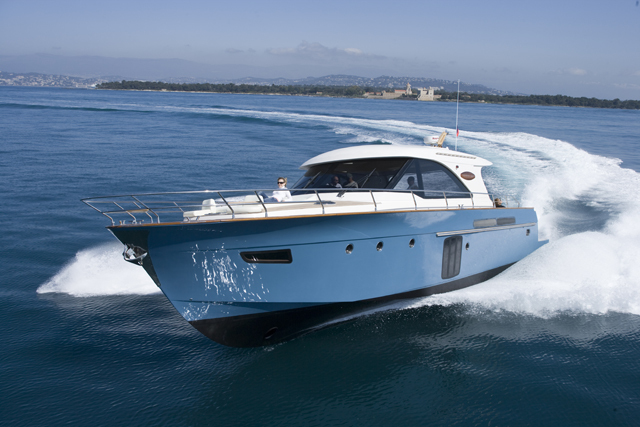 As for the boat’s layout and rigging, it is proof positive that not all dayboats are born equal. Despite its modest billing as a family runabout, the Harbour Rat is rigged very much like a high-class gentleman’s express, with a central console surrounded by an arrangement of extraordinarily classy seating capable of accommodating five people with ease. Everything is simple and robustly assembled, with quality steel rails in place of cheaper plastic, plus lovely fabrics, a classic dark hull and an understated ‘Mike Ring’ insignia on the front of the helm console. It is peculiarly traditional, very British and extremely attractive. There's a very clear view from the helm. The moment you lower yourself into position at the wheel, it is plain that the helm arrangement on the Harbour Rat is absolutely first rate. You get an uncluttered bank of dials, a clear view of the seascape and fantastic support from that seat unit. 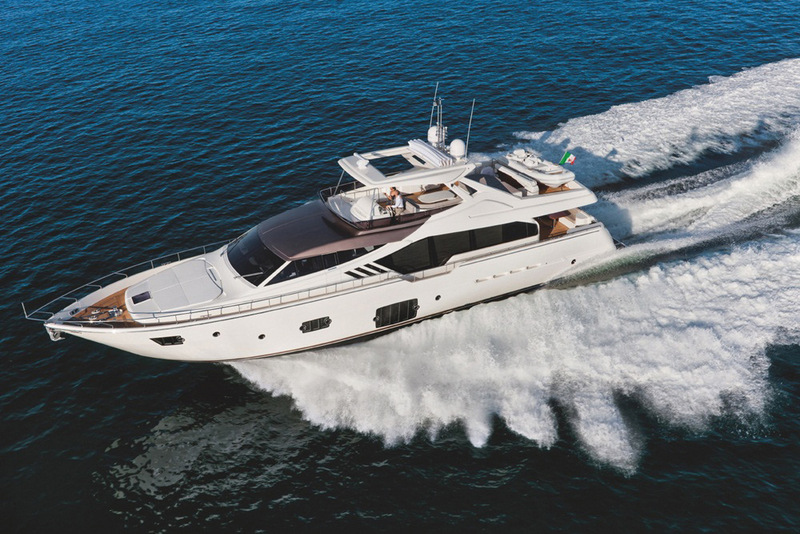 You also get an arrangement of wheel, throttle and bracing points that makes you feel as though this boat was specifically designed to match your body shape. And the fact that the helm console is also placed right in the centre of the deck only serves to improve things, maximising the boat’s balance and positioning the keen driver exactly where he wants to be. As a boat builder with lots of race experience, you would expect the driver’s environment to be carefully considered, but as a starting point for a good day’s driving, this is beyond reproach. Talking of the driving experience, the Harbour Rat is also pretty useful underway. 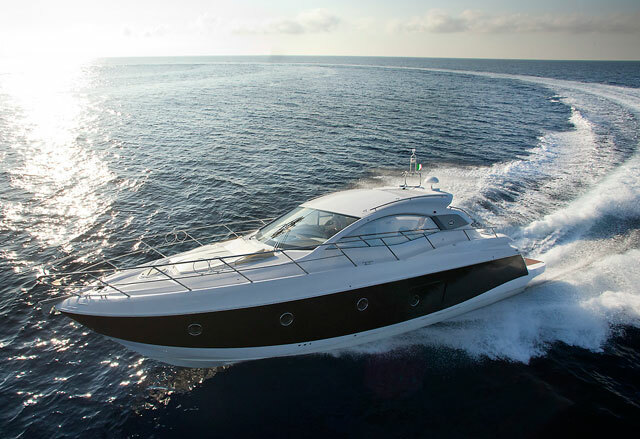 Pushing flat onto the plane in around four seconds, the hull lifts high, running light and efficient through the chop with very quick response to helm input, a very dry ride and an uncanny ability to instill confidence in the driver. And when that confidence spills over and you push the boat too far? Well, instead of a terrifying chine dance, you reach the point where the prop begins to cavitate and the speed drops away until the bite is re-established. 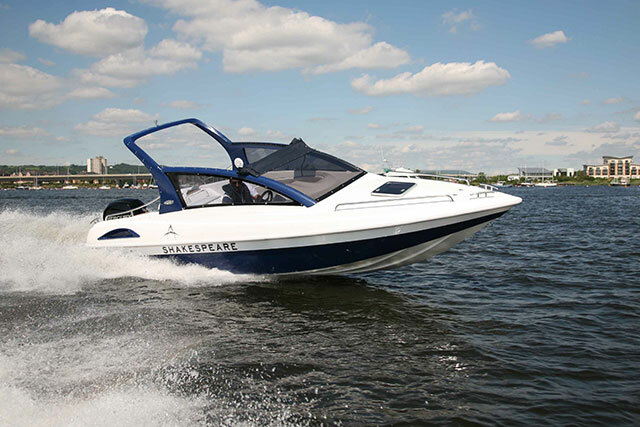 Far from being highly strung, this is one of the most easily accessible boats you can drive. 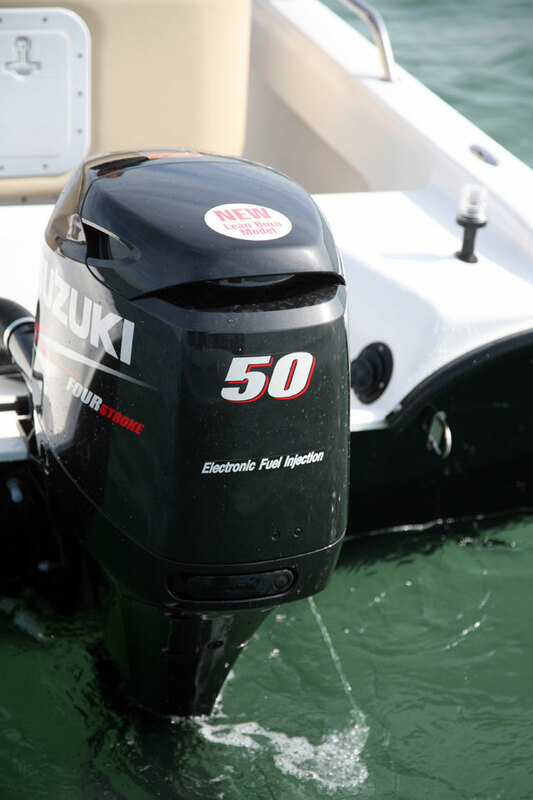 In terms of outright performance, a Suzuki DF50 outboard will see the Harbour Rat to a very composed and enjoyable top end of nearly 30 knots - but with a rating of up to 70hp (and a hull well capable of handling it), this is an instance where the engine choice deserves some careful thought. And for me the more powerful DF60 looks like a perfect solution. 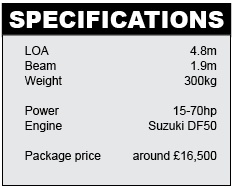 It uses the same block as the DF50, thereby producing ten extra horsepower without any weight penalty at all. 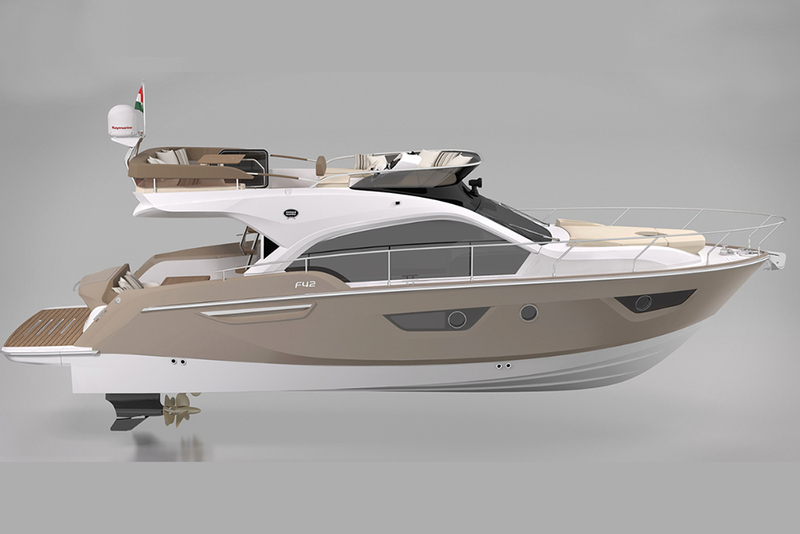 And while it costs another £500, it also happens to weigh a massive 51kg less than the DF70, providing extra power to enjoy those excellent hull dynamics, without disturbing the Harbour Rat’s excellent dynamic balance. At rest you can see the Ring's simple lines. Despite its modest demeanour, the Harbour Rat enjoys a great many of the classic Ring traits. 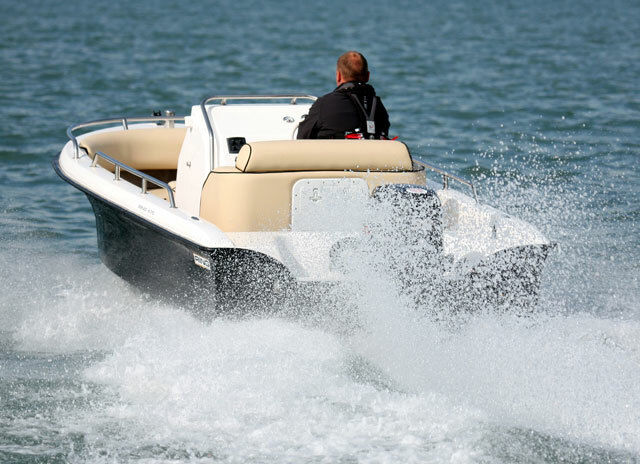 With a hull designed to make the most of modest power and a point of entry designed to cut through the chop, it is easy to drive and practical to use. And not only is it more potent than its diminutive size or its affordable price suggest, but it is also more desirable, with a marriage of design simplicity and quality fabrics that enable it hold its own in company with some of the world’s most exalted craft. If you find yourself bored by the modern tendency toward glamour over substance, the Harbour Rat is the perfect marine antidote. 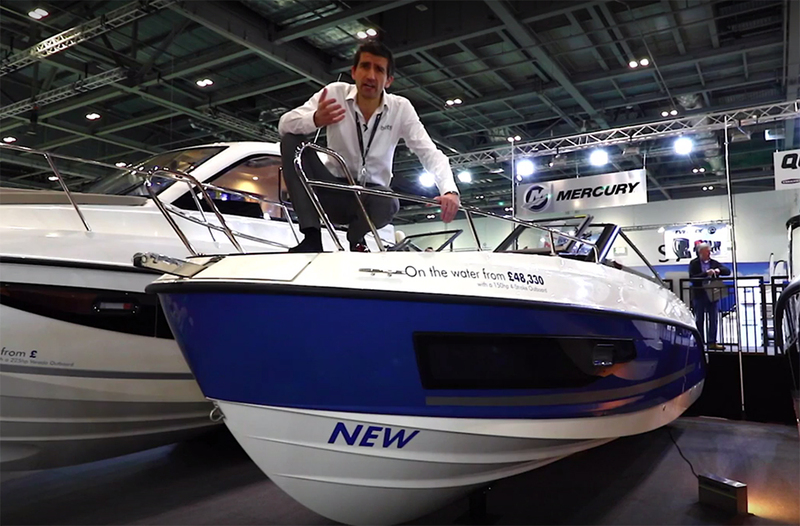 For more details see Ring Powercraft, or suppliers Pro Marine or SAL Marine.